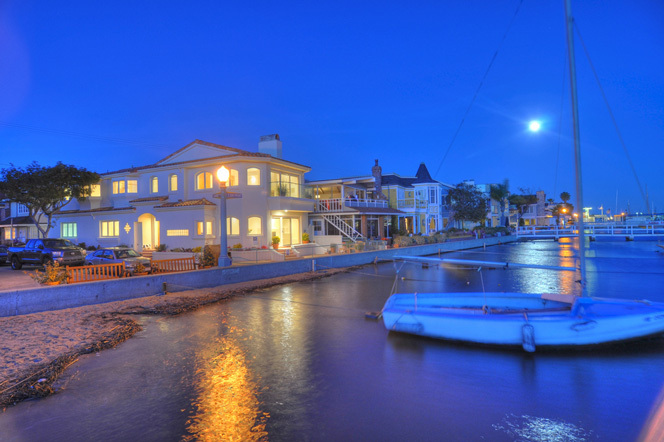 Balboa Island water front homes are considered some of the most expensive homes in the Newport Beach area. Balboa Island is a small island of historic homes that were built in the early part of the 1900's and were some of the first homes built in Newport Beach. The homes located on the water have boating privileges and offer wonderful views of the Newport Bay. Home prices for water front homes currently start at $4,000,000 and can go as high as $10 million dollars for a premier water front residence. For those looking to rent a home on the water plan to spend around $10,000 a month. The island is a great place to live and comes alive during the busy summer tourist months. For more information about Balboa Island waterfront homes for sale please contact us today at 949-444-1901. We specialize in helping our clients find the perfect Newport Beach residence.